This game was not on my original schedule. While I was in Boston I realized that including the four stadiums I’ve been to in California this year, I’d have made it to 14 total ballparks. Adding one more would make it 15, for exactly half of the MLB teams. After some quick schedule lookups, it became clear that the best bet was to go to this game. 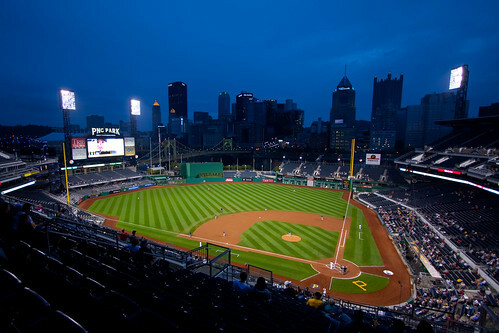 I had already been to PNC Park before in college, but not since 2001. It’s only a little over a four hour drive from where I was staying in northern Virginia. The whole trip was insane to begin with, so I felt like adding a little more crazy to it seemed like a good idea. Before the game, I hit the CMU campus just to look around there again. 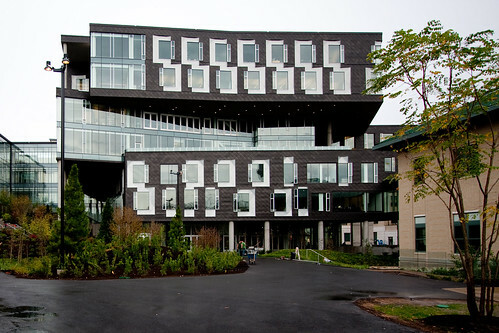 I bought a couple of t-shirts in the campus bookstore (because what I really need is more t-shirts), and got to see the new Gates Computer Science building. 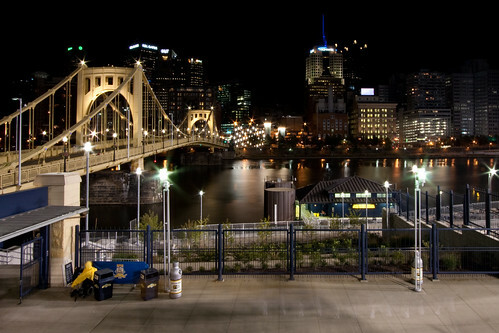 PNC might be my favorite ballpark. It’s certainly up there high on the list. 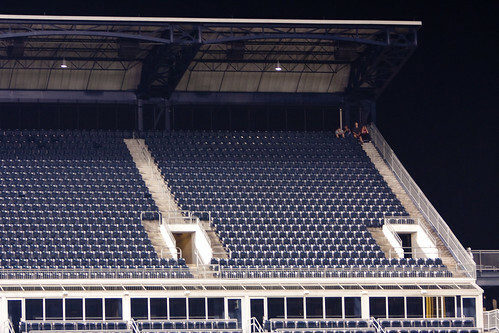 It was sad to see it so empty at the game I went to, though not surprising. Both teams are pretty bad, and neither is making the postseason. It’s a shame to see such a beautiful place so deserted. 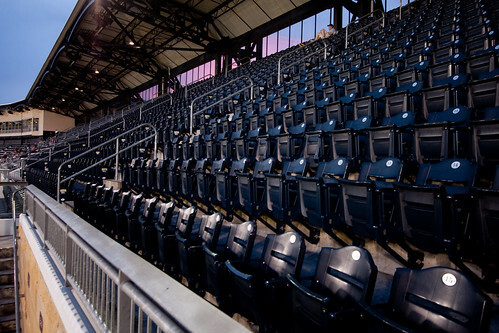 A week later, the Pirates actually closed the upper deck for a game and gave everyone with a ticket up there a seat upgrade. I’m glad they didn’t while I was there, so I could still get my stadium picture. The game itself was a pretty good one. Pirates were down early, and came back in the 9th against Heath Bell. Sadly, the Padres scored 5 in the 11th to win 11-6. I think the view is what really makes this such a great place to watch baseball. Someday, they’ll have to have a good team playing there again.